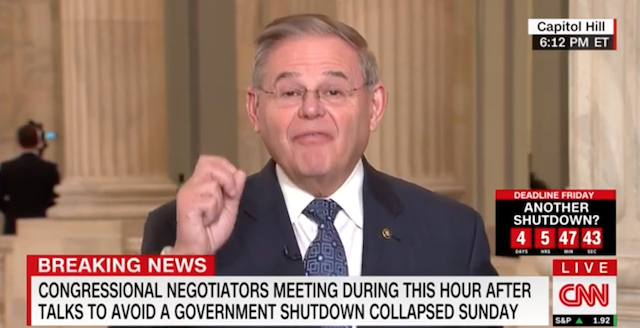 What you just heard here from Sen Menendez, who speaks for the democrat party, is proof the democrats care more about illegal aliens than US citizens. Illegal aliens are criminals the moment they illegally enter the US; thats why they’re called illegal aliens! They are criminals when they commit DUI’s, anyone saying otherwise is a liar, Senator! What Menendez has done here is confirm the argument this site has been making about CA being the testing grounds for the entire US, where illegals are treated like first class citizens and Americans are second class or worse in CA treated like third class citizens. Democrats know their hard shift to socialism (communism-lite) has caused many moderate democrats to walk away. They know Black voters, and other minorities they’ve been promising the world but delivering nothing, are waking up too leaving the party. All the dems have left is the hispanic community to pander to who can deliver them the power and control they’re seeking. Their master plan has been tested out successfully in California where since the 1986 amnesty illegals have been flowing into the state. They have conveniently set up camp in democrat districts changing the demographics and population count with regards to the census. This results in dem counties being redistricted resulting in the creation of a new district that votes democrat. This is how CA went from being a red to blue state, now completely under permanent one party, democrat, rule. This is why people like Menendez are making such outlandish comments as he does here defending illegals. The democrats do not want illegals held for any crimes, they make every excuse possible, and when in doubt they pull the race card. Dems are running cover for illegals to have free rein in the US with the objective of flooding states like they did in CA to produce one party rule coast-to-coast!